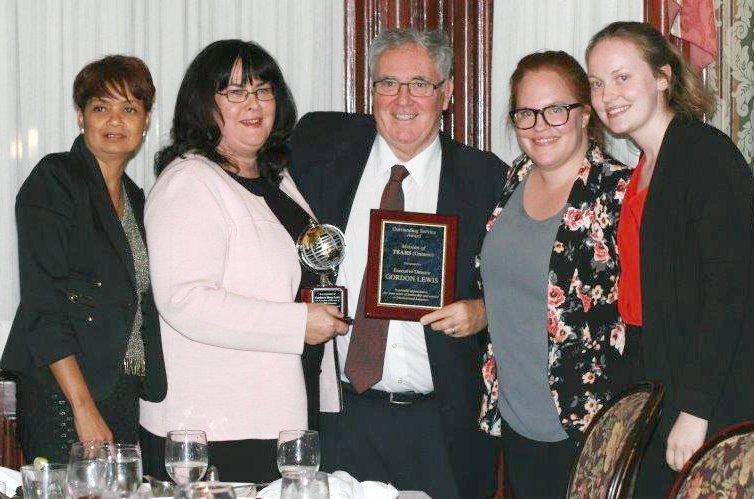 Diane and Gordon Lewis, founders of Mission of TEARS (Ontario) adoption agency were recently recognized and awarded for the work they have doing for their work in adoption. The adoption board honored them as the founders of Mission of TEARS (Ontario) adoption agency. "In recognition of Gordon & Diane Lewis the Founders of Mission of TEARS (Ontario) for their years of dedicated service to children around the world"
"Outstanding Service Award Mission of TEARS (Ontario) Presented to Executive Director Gordon Lewis In grateful appreciation for your years of leadership and service in International Adoption."